Gorgeous home in a fantastic location. Stones throw from the beach and fabulous covered outdoor living for when you've seen enough sun. Enough lawn for evening petangue and ample beach at low tide for epic cricket matches. Nestled under the mighty Mt Mangatawhiri, Wharekaho(Simpson's beach) is a fantastic beach with many great features. 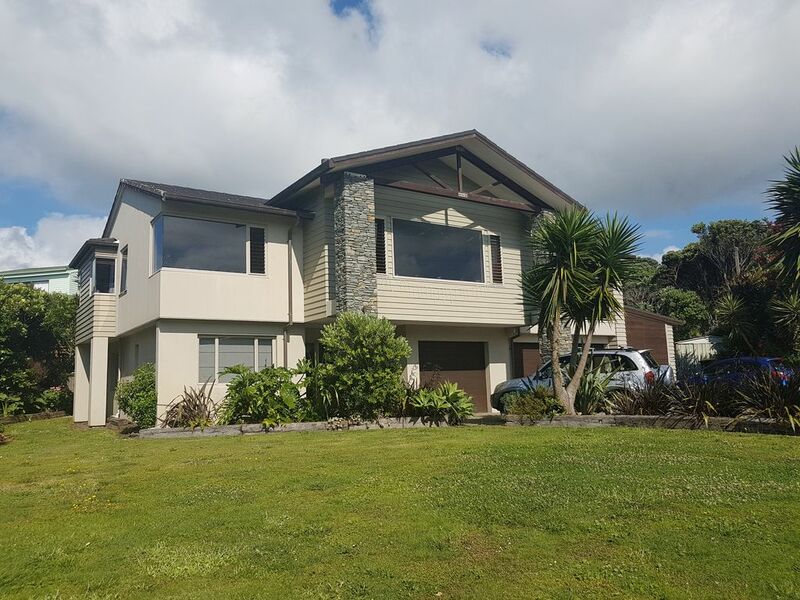 With no shops, you feel like you are getting away from it all, yet it's only 4 km to Whitianga for anything you need. Book now to ensure a memorable family holiday.